Back in 1985, Chuck Uischner had held a variety of jobs. He was a gifted diesel mechanic and a person who never shied away from taking a risk. After working as a paving foreman, a Coca Cola delivery man, a real estate developer, and a gold miner, he was looking for a new line of work. 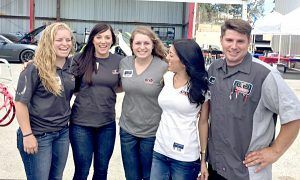 He started California Diesel from a mobile truck to a single bay in a rented space on Arnold Industrial Park. He quickly zeroed in on generators because they contain diesel engines and he could work on them without having to crawl on the ground. “Those little generators they have in motorhomes sure are neat,” he said. 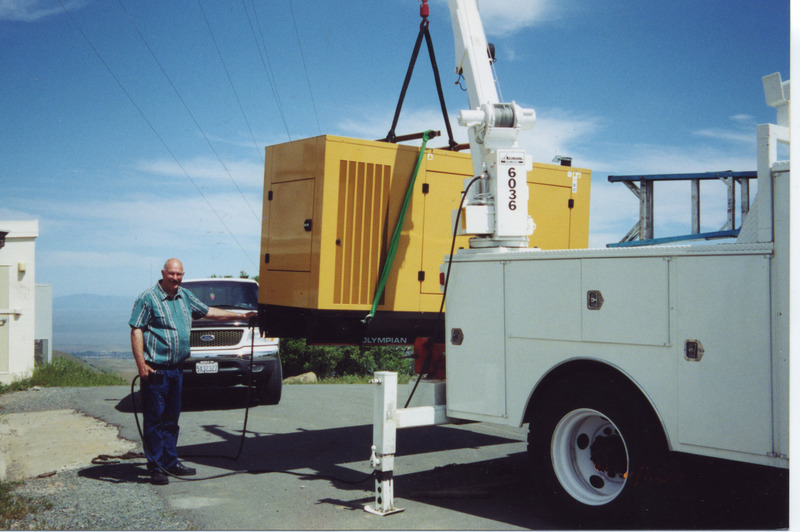 Chuck Uischner, the founder of CD & Power, is shown in this photo from the 1990s with a new generator installation in Concord, California. Shortly after that he bid on a government contract to rebuild 50 generators that had been used in Operation Desert Storm. He won the contract and soon the generators started coming to him on pallets. So he rented a second bay, then a third, and then space upstairs. In 1997 he bought the space the company now occupies in Martinez off the Pacheco exit. With 20,000 square feet and a 2 ½ acre yard, he wondered how he and the six technicians working for him would ever use all that space. Fast forward 30 years and the company is still holding those meetings. They are filled with motivating and empowering content. Every employee is present. They discuss safety and technical tips for the best way to maintain and restore a generator to working condition. Every voice counts, and everyone is valued. 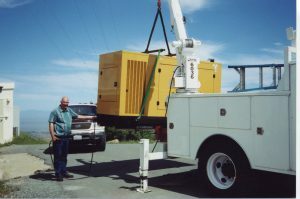 The difference between then and now is that now, the company really is the largest independent generator service organization in Northern California. With 44 employees, three locations, a fleet of 100 rental generators, 35 four-wheel drive trucks, a tractor truck, two cranes, three flat-bed trucks, 15 load bank test sets and lots of other equipment, the company serves Bay Area power users with scheduled and emergency service 24 hours a day, 7 days a week, 365 days a year. 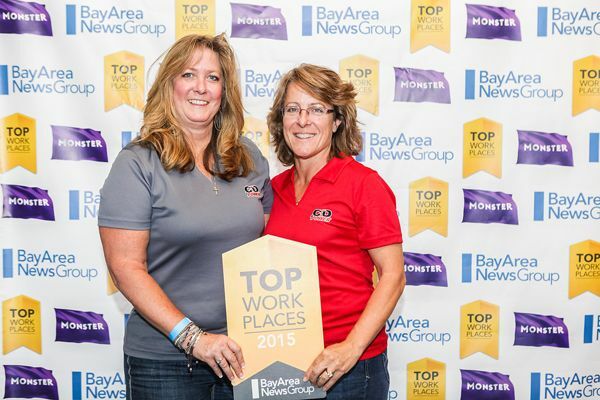 In 2014, the company hired ten new employees and grew to a total of 44. They now fill the entire 20,000 square foot building, as well as operating two other locations, and the rental generator fleet takes up the entire 2 ½ acre yard. So what makes this company worthy of being one of only 100 companies from more than 1200 that entered the Top Bay Area Workplace list? It could be those meetings that bring the whole company up to date on what’s happening with customers, company direction, safety and technical issues. It could be the President Jill Collaro’s enthusiasm and genuine concern for each and every employee. It could be General Manager Lisa Carter’s frank talk about what’s important for every employee to know and present to customers. It could be a very generous benefits package that includes life insurance for every employee; Kaiser health coverage for employees with children at no cost; or vacation and sick pay that add up quickly after just one calendar year of employment. It could also be three or four social events for employees and their families each year. It could be how everyone works together to improve the company and offer outstanding service to customers. It could be the training programs and continuous learning that everyone is encouraged to participate in. It could be the result of an empowered team that has worked together toward a common goal for 30 years. It could be a hundred more things too. That’s the type of company that Chuck and his family have created.